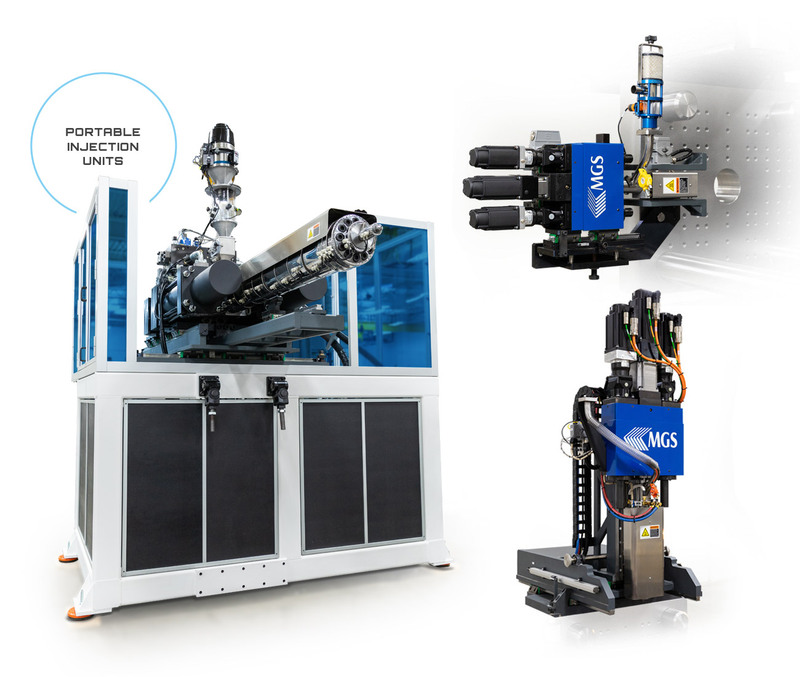 Developing stand-alone, portable injection molding machines is a direct response to the increased demand for molding operations to be able to react quickly to expanding multiple material and sampling needs. 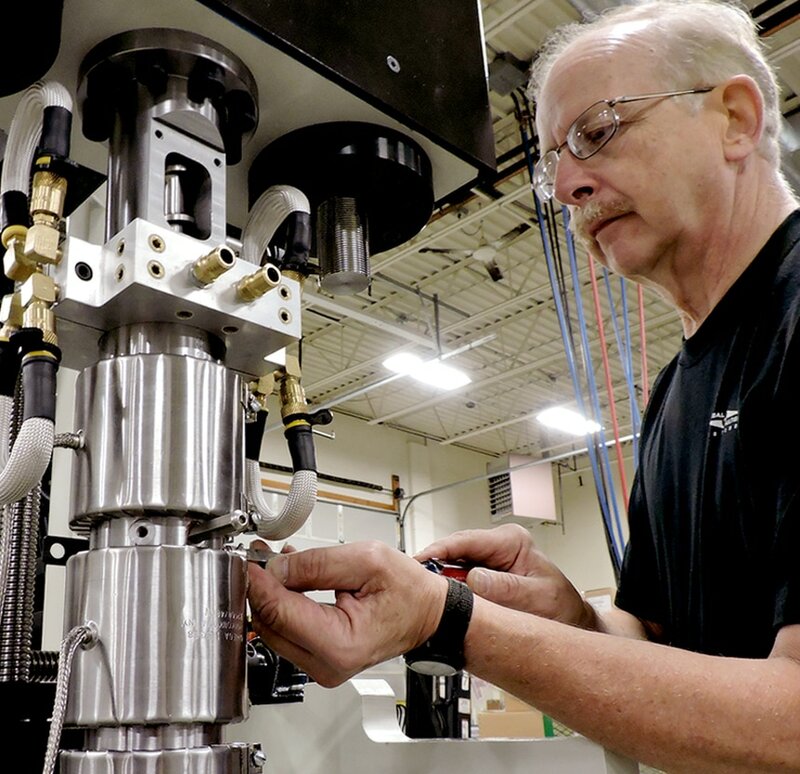 Our high-speed injection units and rotary systems are specifically built to handle our customers’ wide range of molding operations – covering presses from 40 tons to over 1200 tons. Our built-to-order solutions are both portable and flexible. Our equipment is available in a wide range of sizes, able to convert any standard injection molding machine into a multishot machine – in a matter of hours. Whether used for a development project or for long-term production molding, our equipment is conducive to robust, repeatable and reliable processes that will expand your capabilities. 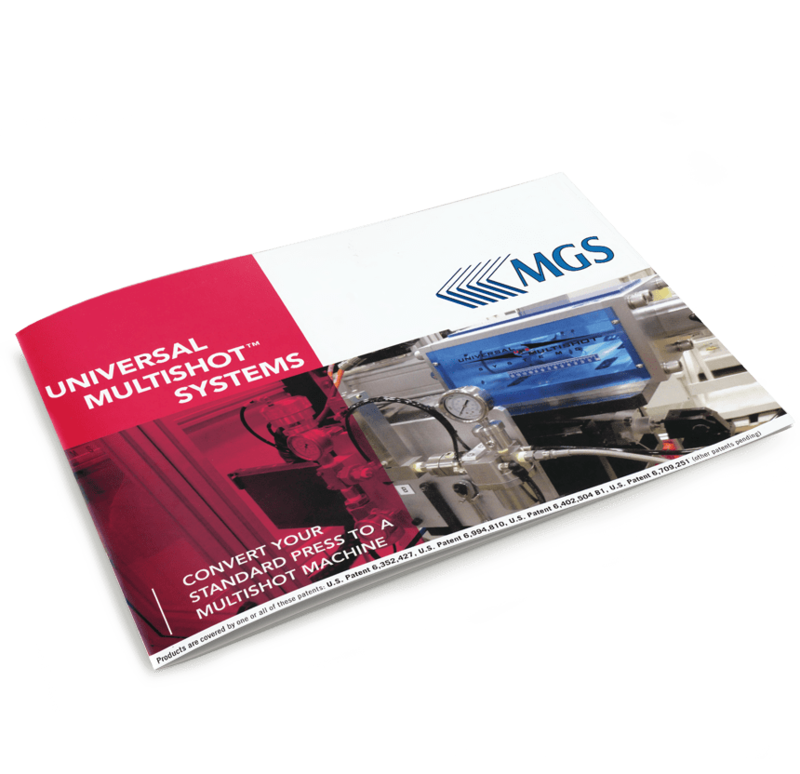 Today, MGS is uniquely positioned as a complete multishot equipment solutions provider – offering Injection Units and Rotary Systems to meet ongoing customer demands. 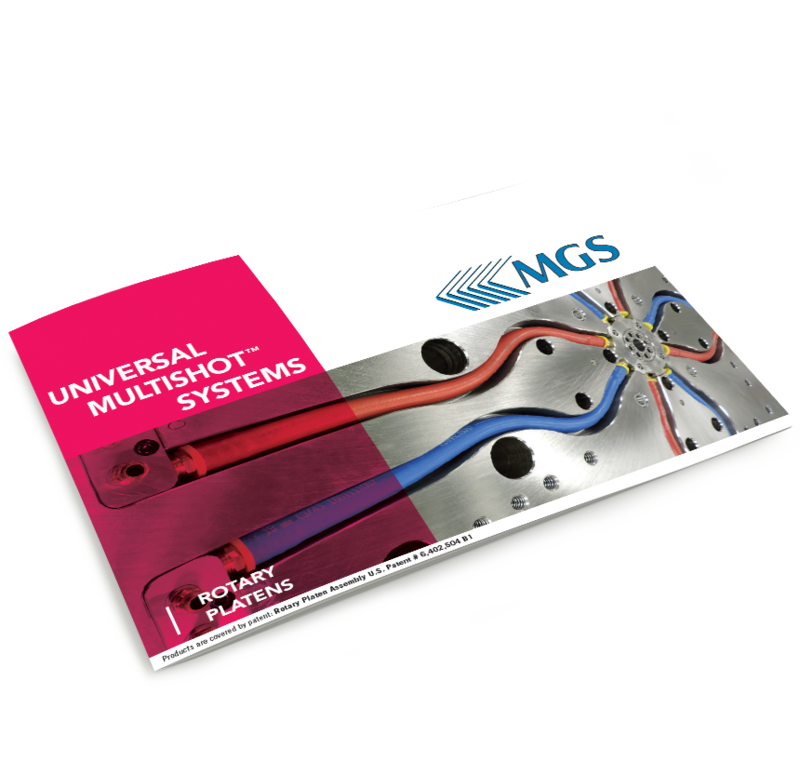 This includes rotary platens, two & four-sided rotary stacks, high-speed rotary spindle systems, two/three/four stage indexing systems and hot runner controllers. Mold mounting or connecting directly to existing molding presses, these machines can easily be transported between multiple injection molding machines to facilitate quick program changes. Providing power and control for all functions, these units are easily customized for your individual production needs. 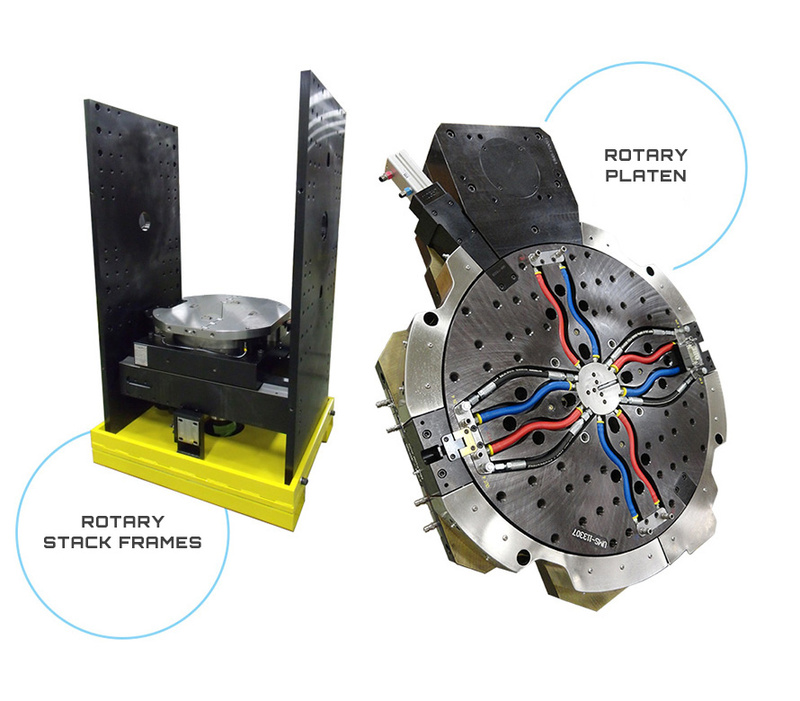 Vertical Rotary Platens must withstand the rigors of continuous use while maintaining optimum operability and accuracy. Designed for a fast-paced market, these rotary platens are built with quality and performance in mind. Benefits include reduced installation and maintenance costs with increased flexibility, efficiency and overhead savings. Custom built to fit the size and style specifications of each customer’s program, sizes range from 400 mm to 2850 mm. 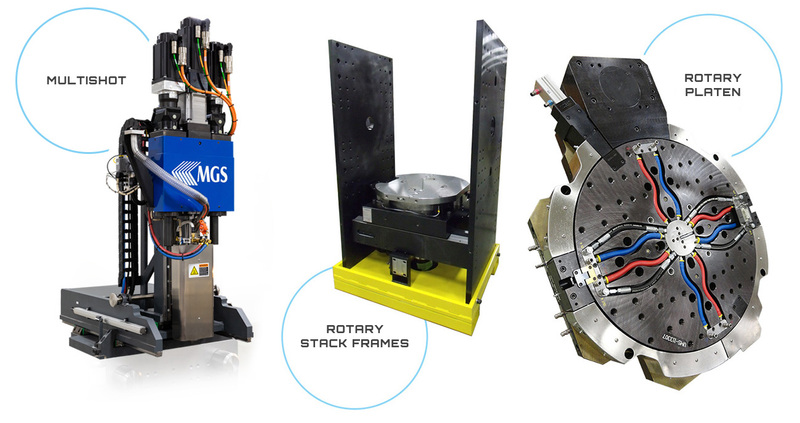 Rotary Stack Systems use a two or four-sided rotary center section, facilitating a higher production yield with a smaller footprint. They can accommodate press sizes up to 3,000 tons. 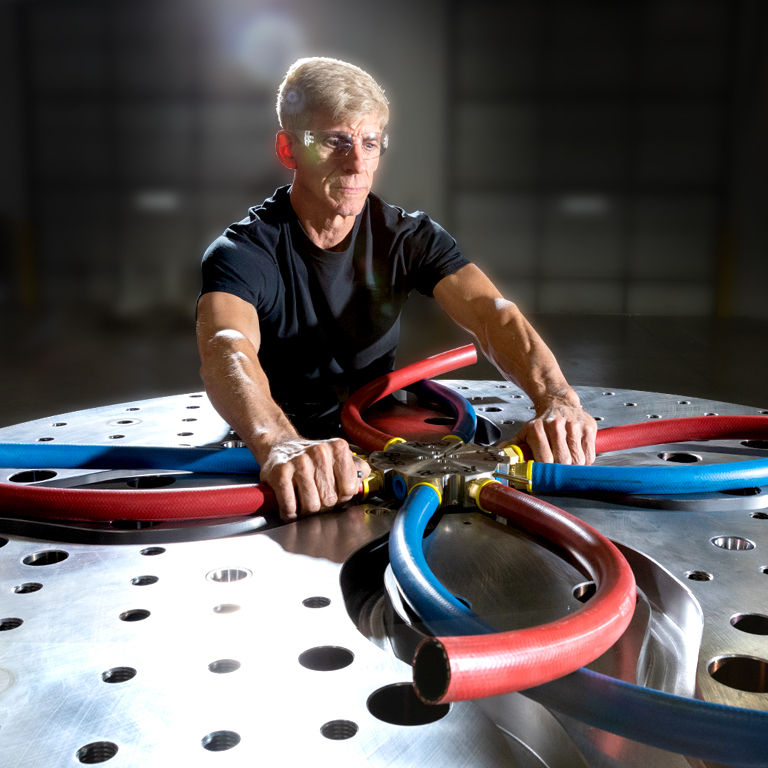 Our advanced sealing technologies enable our new isolated water union to utilize a no-load carrying function to increase longevity. Wish to add oil or air through the union to control mold cores? No problem, we’ve got you covered there too. Our independent process controller allows for full integration with any conventional injection molding machine via a complaint Robot Interface. Our control platform allows for easy configuration of Robot Transfer, Core-Back, Co-Injection, Rotary Systems and mold sequences that can be selected and viewed via our patented touchscreen user display. 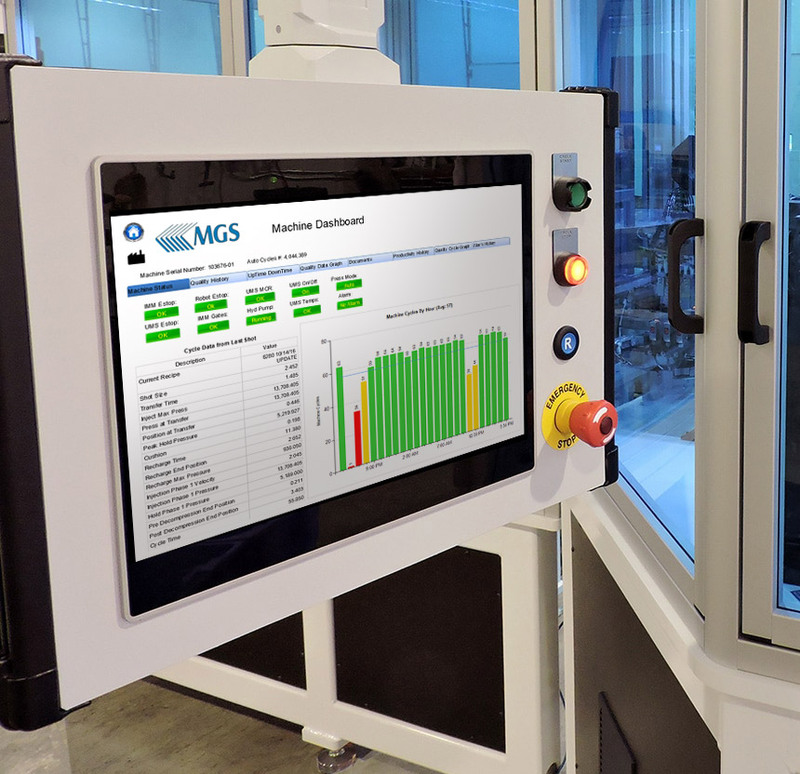 All of our equipment control platforms are compliant to the latest industry 4.0 standards.